wow! a couple days ago i was interviewed by The Denver Post and the article was printed in todays newspaper, as well as posted on the The Denver Post blog. above is a short excerpt, but if you'd like to see more click here. ps. i just have to share a quick thank you to Kellie Anderson for taking a great photo. that girl has skills. 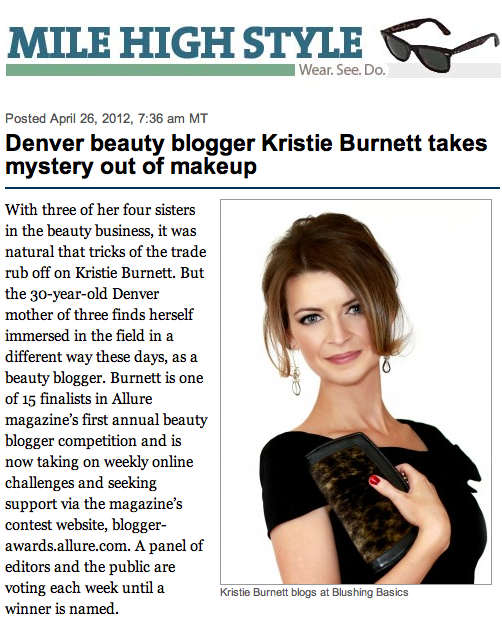 I'm telling you, The Kristie Burnett Project is next!! Great article! Going to vote again today right...now!